ICYMI: This week Derek Cameron and Joe Siebert both presented on the use of moisture sensors to avoid water stress. We are about to install 50x new moisture probes to get them operational before the grape and horticulture season begins. This is the highest amount in a month since we started the service back in 2007. There is huge interest in soil moisture levels! This season we have been defient in rainfall. Consider the role evapotranspiration has in soil moisture. 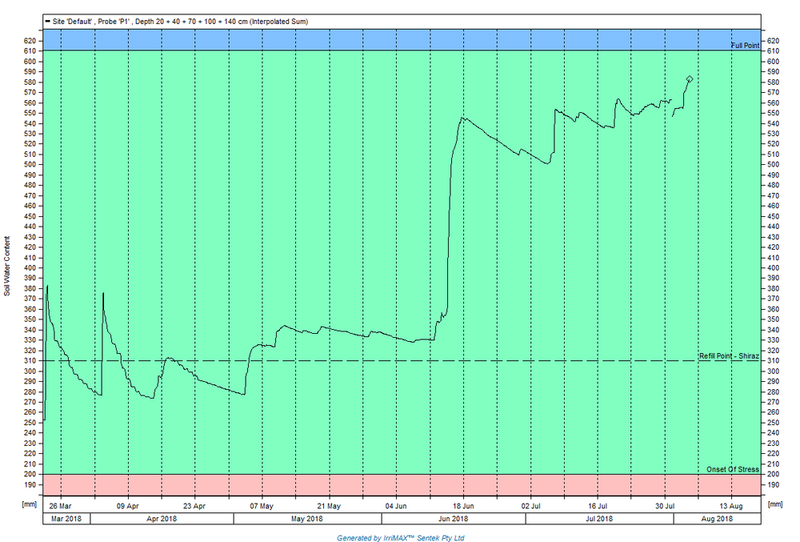 On many occasions so far this year the daily evapotranspiration rate has been higher than the daily rainfall. We have a net loss of soil moisture when the daily evapotranspiration rate is greater than our daily rainfall. When rainfalls and it is less than the daily evapotranspiration rate it gets used up by plants or lost through evaporation and doesn’t increase soil moisture. The volume of rainfall is not enough to go past the immediate topsoil. We have a net loss of soil moisture through long periods of this year. An measure of rainfall I have charted “effective rainfall” which is the daily rainfall vs. daily evapotranspiration - ABOVE. 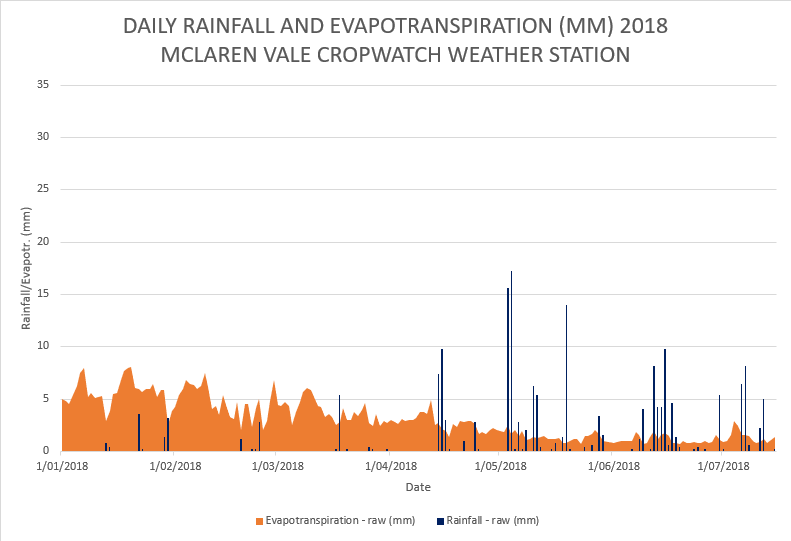 Unless the blue daily rainfall (mm) column is greater than the orange Evapotranspiration (mm) column than there was a net loss of soil moisture for that day. Irrigation at budburst is being recommended by many "in the know" to make up for this shortfall. Nominations for the Australian Women In Wine Awards are now open.